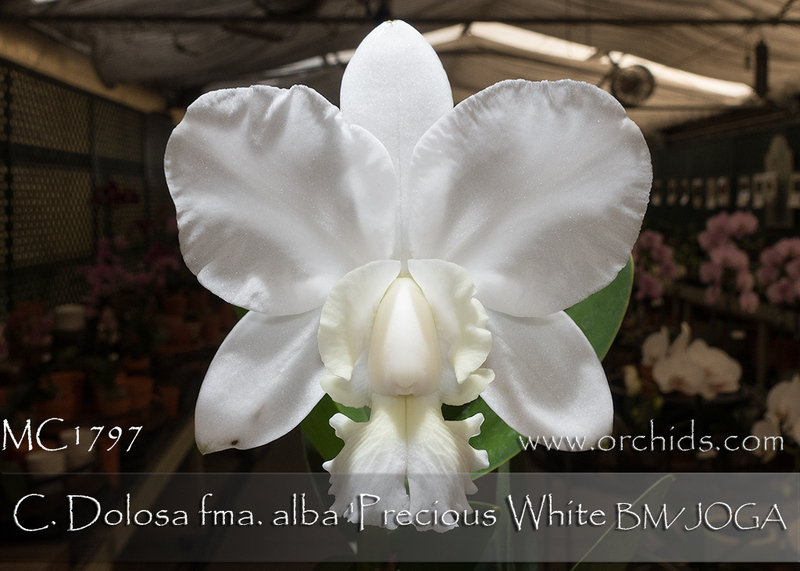 The absolute best clone of this hybrid, using two alba forms of its great species parentage ! 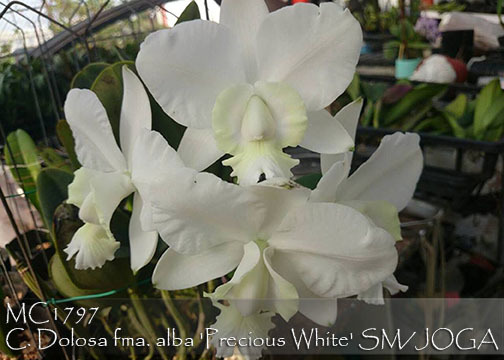 Awarded a Bronze Medal by the Japanese Orchid Growers Association, this clone can bear 4-6 amazingly fragrant 3.5” flowers on each inflorescence. Its C. walkeriana parent dominated for both the plant and flower size. This is its first availability in the US and our stock is extremely limited so don’t wait ! Very Highly Recommended !